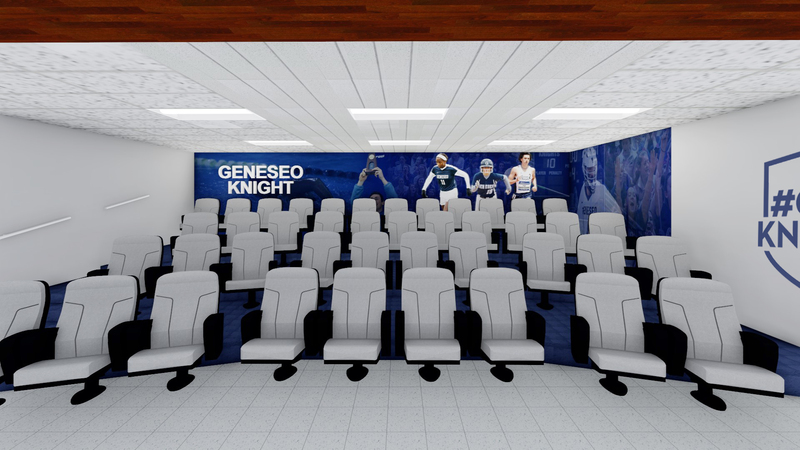 SEI Design Group is working with SUNY Geneseo on the design of a multimedia room for the Athletics Department. 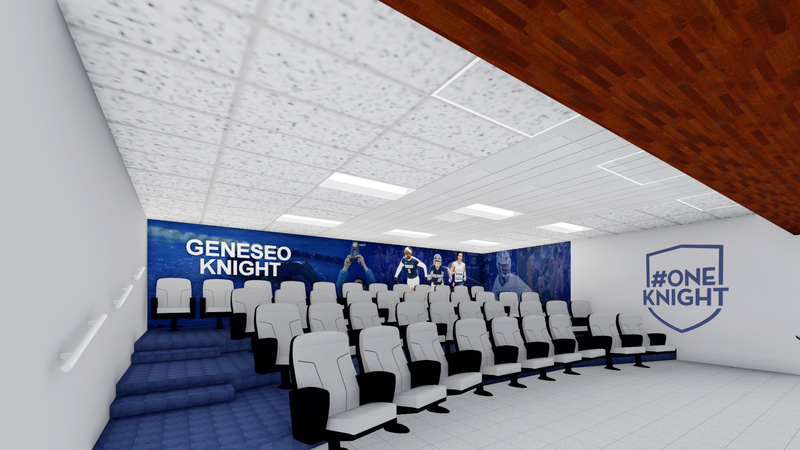 Currently under construction, this state-of-the-art facility will feature media equipment, large display panels, and auditorium-style seating. 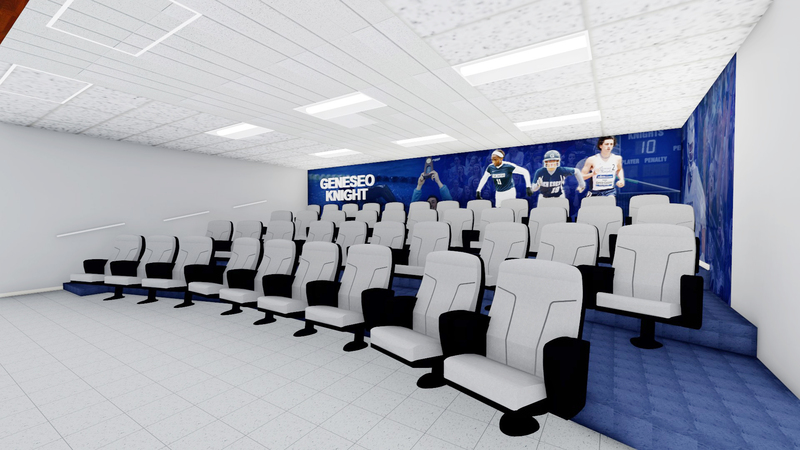 The Athletic Video Room will be used by student athletes and coaches to review plays and improve performance and communication. The Athletic Department will also use the room to assist with recruiting.